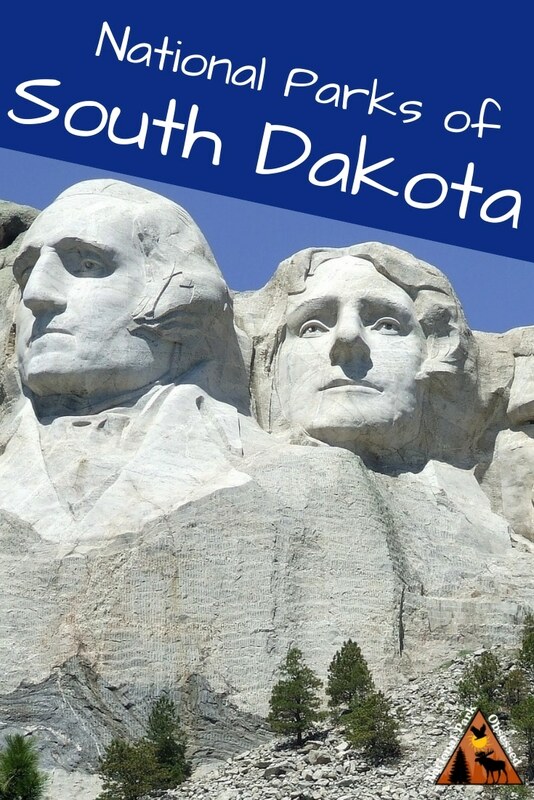 There is currently six National Park Service Site in South Dakota and one associated sites. 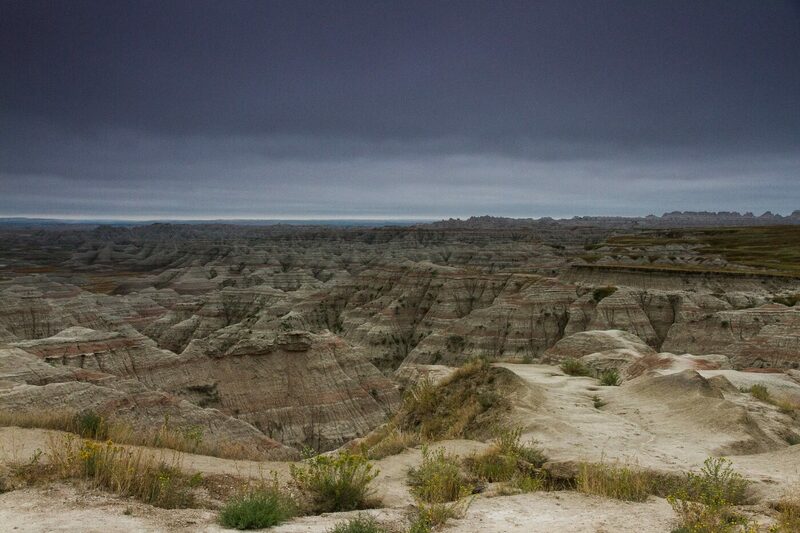 Badlands National Park is located just east of the famed South Dakota Black Hills. The Badlands is a special place where the landscape limited development. The landscape is rugged terrain full of spires, eroded buttes, and pinnacles. This landscape hides a secret. The area is one of richest fossil beds in the world. Fossils of hornless rhinoceros, three-toed horse, deerlike creatures, and saber-tooth cats have been found. The park is split into two units. The north unit is managed by NPS and the south unit is managed by NPS with the Oglala Lakota tribe. Most visitors will spend time in the north unit where hiking trails, scenic drive and most visitor services are. It isn’t uncommon for visitors to find fossils in the park. Please leave them where you found them. The southern unit is a sacred site to the Oglala Lakota tribe. The 1890’s Ghost Dances and the tribe’s requests that visitor not touch or remove any objects tied to trees. 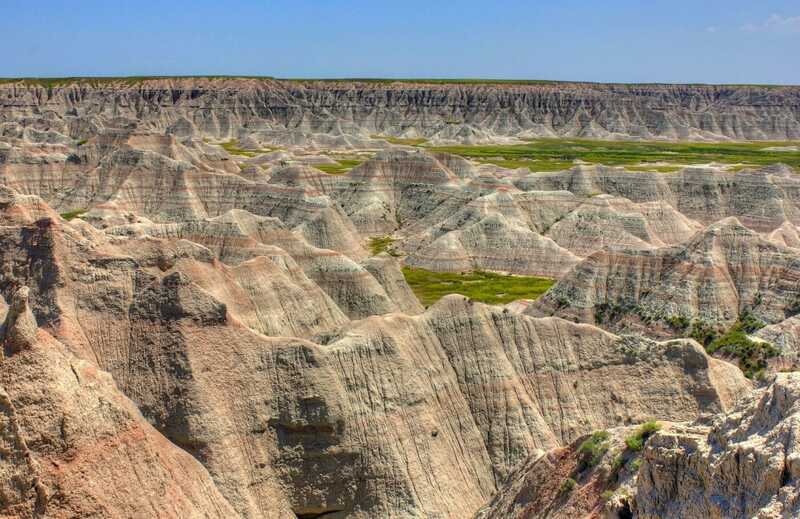 Badlands National Park was established as Badlands National Monument on January 29, 1939. It was elevated to a National Park as November 10, 1978. Badlands National Park is located just west of the famed South Dakota Black Hills. The Badlands is a special place where the landscape limited development. 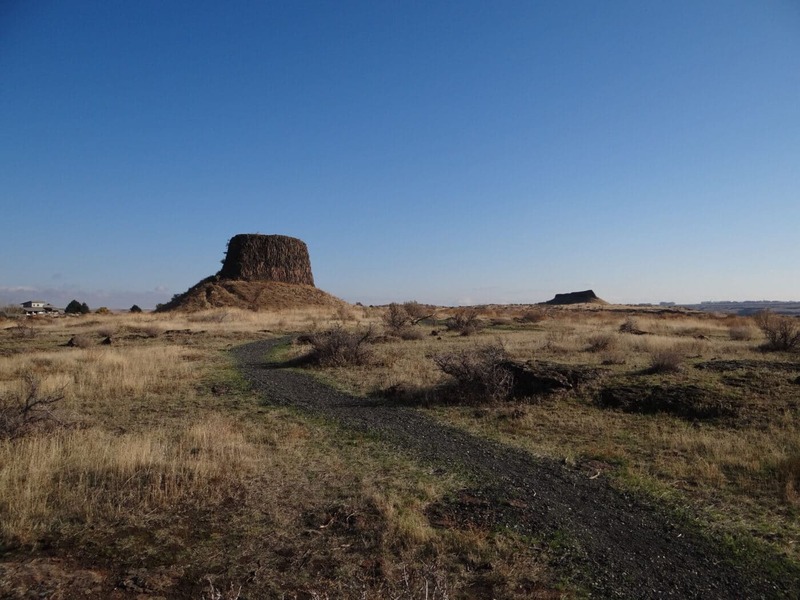 The landscape is rugged terrain full of spires, eroded buttes, and pinnacles. This landscape hides a secret. The area is one of richest fossil beds in the world. Fossils of hornless rhinoceros, three-toed horse, deerlike creatures, and saber-tooth cats have been found. The park is split into two units. The north unit is managed by NPS and the south unit is managed by NPS with the Oglala Lakota tribe. 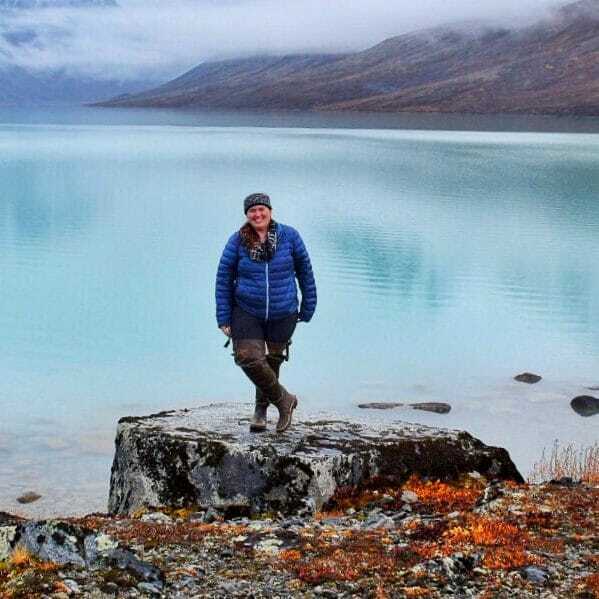 Most visitors will spend time in the north unit where hiking trails, scenic drive, and most visitor services are. It isn’t uncommon for visitors to find fossils in the park. Please leave them where you found them. The southern unit is a sacred site to the Oglala Lakota tribe. The 1890’s Ghost Dances and the tribe’s requests that visitor not touch or remove any objects tied to trees. 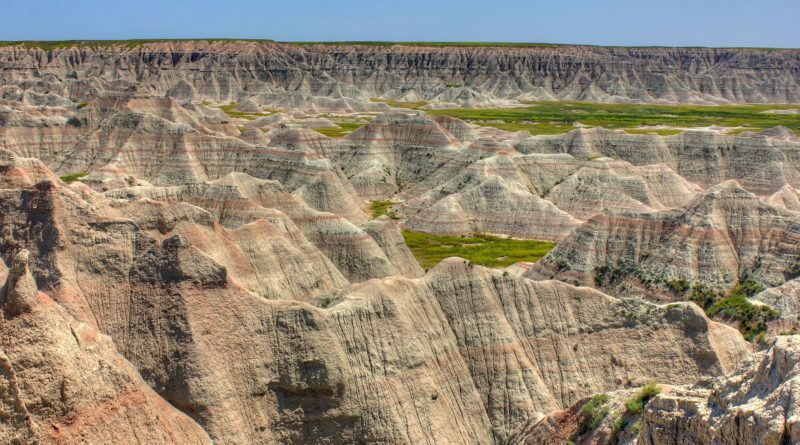 Badlands National Park was established as Badlands National Monument on January 29, 1939. 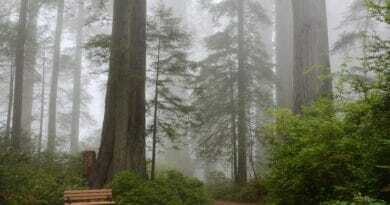 It was elevated to a National Park on November 10, 1978. Jewel Cave National Monument doesn’t look like much on a map. The site is 1,273 acres (1.98 sq miles) in size yet the real wonder of this monument is hidden beneath the surface. There is 200.3 mapped miles of cave in Jewel Cave National Monument. Jewel Cave is currently the third largest cave in the world (and the second largest cave in the United States). The cave is only accessible via a ranger-guided tour and there are two hiking trails in the park. Jewel Cave gets its name from the calcite crystals. This formation cove the cave along formations such as flowstone, draperies, and popcorn make this a special cave. There are two main cave tours. 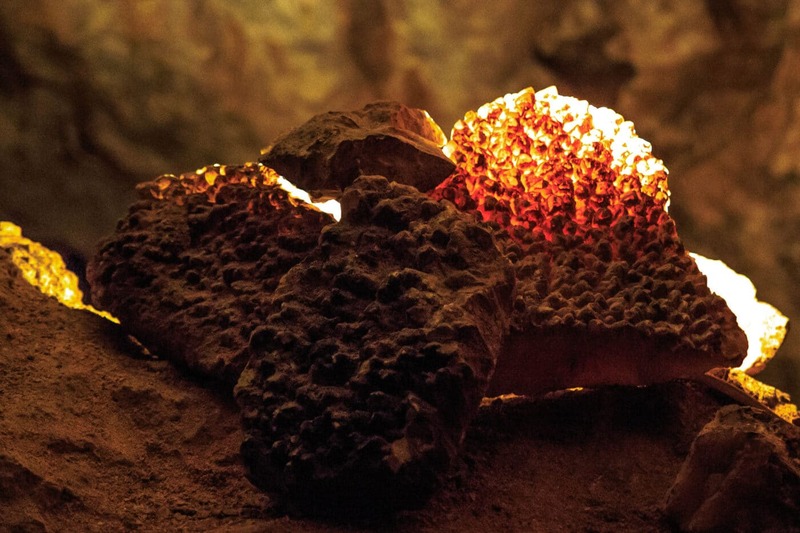 One is the Historic Lantern Tour with follows the original cave discovery route. The second is the Discovery tour which takes you down the caves great room. Jewel Cave National Monument was created on February 7, 1908. As of 1959, only two miles of cave had been mapped. In 1960 and 1961, Herb and Jan Conn added 15 miles of mapped cave and it has exploded from there. On December 18, 2018, a group of six cavers mapped the 200th mile of cave in Jewel Cave. Jan Conn was there to celebrate this milestone. Minuteman Missile National Historic Site is an unimposing site. It is one of the smaller National Park Service Units. 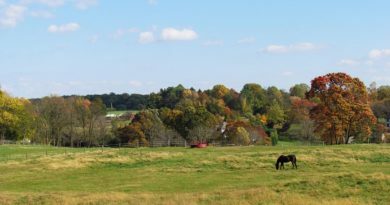 The site is only 15 acres but they are important 15 acres. Stand at the doors of the visitor center and look around. The landscape looks much the same as it did in the 1950s. However, for about 30 years starting in the 1960s, this barren landscape was home to 150 Minuteman Missiles and 15 launch-control centers. These missiles were part of the Cold War’s nuclear arms race. It was a time of great paranoia between the United States and the USSR. And all it would take was 2 sets of young men to turn a few keys to launch all 15o missiles towards the USSR. With the missiles away, the USSR would launch their own arsenal and both counties would have destroyed each other. Thankfully, the fear of mutually assured destruction kept the missiles safely stored in their silos. In the 1990s, Strategic Arms Reduction Treaty was signed and the Soviet Union fell. The missiles were decommissioned and most the silos were filled in. It was decided to save underground missile silo D-01 (Delta One) and launch facility D-09 (Delta Nine). 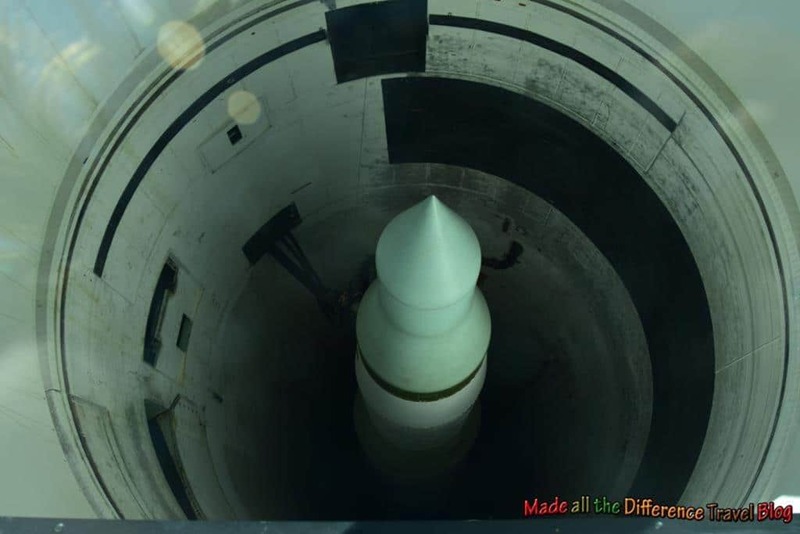 These two sites plus a visitor center make up Minuteman Missile National Historic Site. This site was established by November 29, 1999. Missouri National Recreational River is a 98 miles section of the Missouri River along with 20 miles of the lower Niobrara River and 8 miles of the Verdigre Creek along the borders of South Dakota and Nebraska. This section of the Missouri River is the only section not controlled by a dam or in channels. Visitors will find the river wild and untamed much as Lewis and Clark saw on their expedition to the Pacific Ocean. It is possible to launch canoes and kayaks to explore the river. Head to Ponca State Park and Niobrara State Park for visitor services. 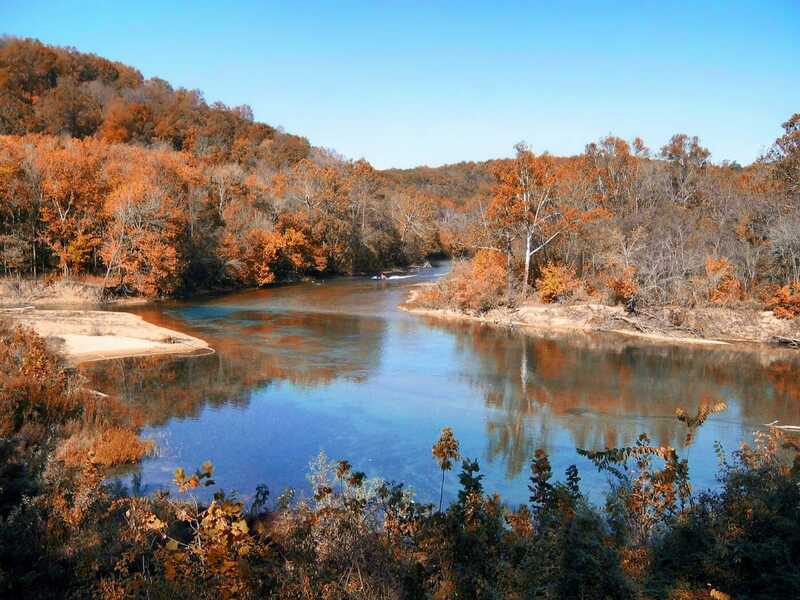 Missouri National Recreational River was established on November 10, 1978. Mount Rushmore National Memorial is one of the most famous statues in the United States. It is one of the iconic images of America. Mount Rushmore is the original “Saw on Instagram.” The entire purpose of the site was to increase tourism to the region. This massive sculpture was designed by Gutzon Borglum. Borglum came up with the sculpture after being approached by historian Doane Robinson. Borglum started work on the sculpture in October 1927 with the help of his son. The plan was to depict Presidents George Washington, Thomas Jefferson, Theodore Roosevelt, and Abraham Lincoln from head to waist. 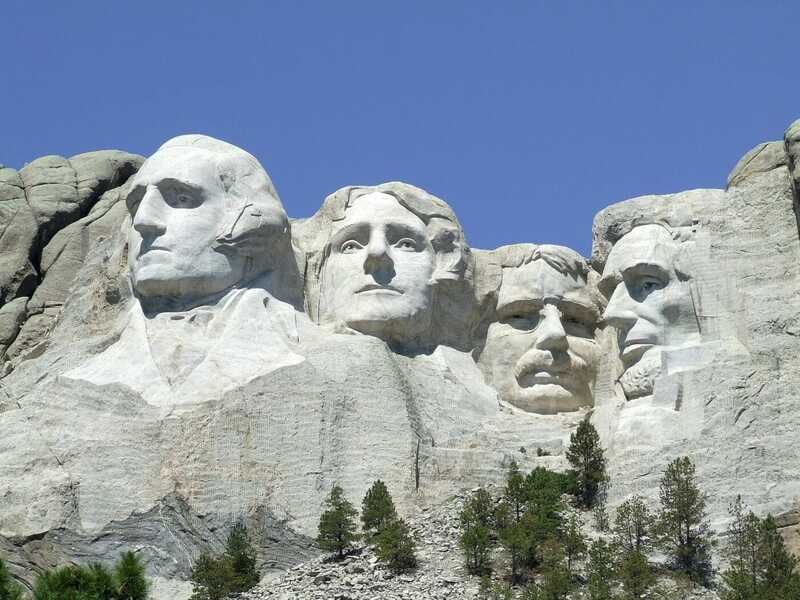 These four Presidents were selected by Borglum for their role in preserving the Republic and expanding the nation. Construction lasted until October 1941. The project ended due to lack of funds and Borglum had died in March 1941. Lincoln Borglum oversaw the final stage of work after his father’s death. In the end, only the heads were finished. Mount Rushmore National Memorial was established on March 3, 1925. Wind Cave National Park contains the 7th longest cave in the world. Wind Cave was the cave to be designed a national park in the world. Wind Cave has 143.15 miles of mapped cave and is the worlds densest cave system. Visitors should check out the three-dimensional maps in the visitor center to understand the size and complexity of Wind Cave. Wind Cave gets its name from the airflow into or out of the cave. If a high-pressure system is moving into the area. Air will rush into the cave. When a low-pressure system is present, air rushes out of the cave. Wind Cave is less than 30 miles from Jewel Cave, yet it is highly unlikely that these two caves are connected. Jewel Cave has a different pressure and air doesn’t flow in and out of Jewel Cave the same way as Wind Cave. Wind Cave contains 95% of the world’s box work (a unique cave formation). Visitors shouldn’t just focus on the cave when in Wind Cave. Above ground is a network of hiking trails thru a natural mixed-grass prairie. Bison, coytes, and pronghorns are found throughout the grasslands. Wind Cave National Park was established on January 9, 1903. Lewis and Clark National Historical Park was established on May 29, 1958, as Fort Clatsop National Memorial. 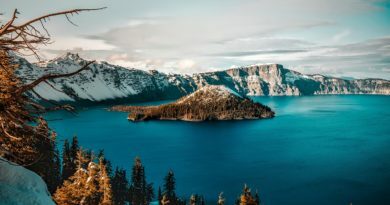 On October 20, 2004, the park was expanded and renamed Lewis and Clark National Historical Park and includes sites in both Oregon and Washington.